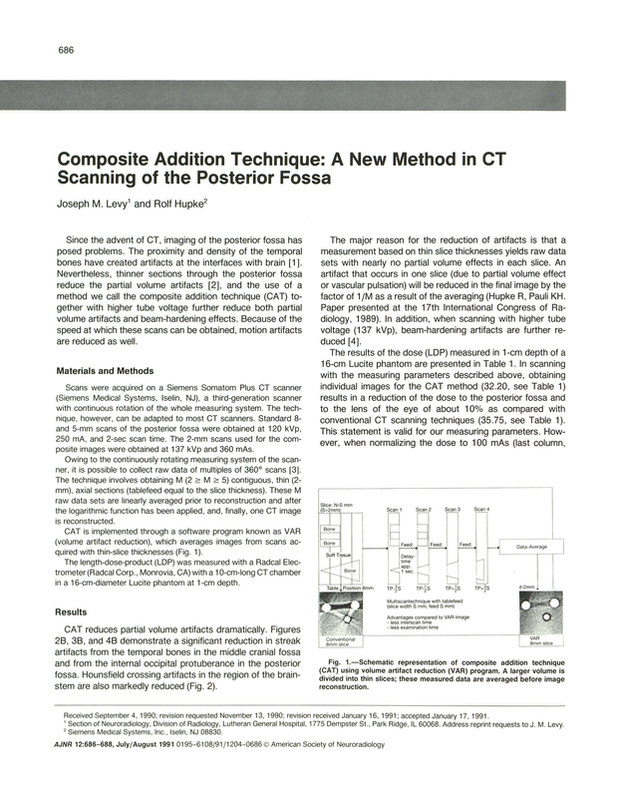 Composite addition technique: a new method in CT scanning of the posterior fossa. Section of Neuroradiology, Lutheran General Hospital, Park Ridge, IL 60068. You are going to email the following Composite addition technique: a new method in CT scanning of the posterior fossa.